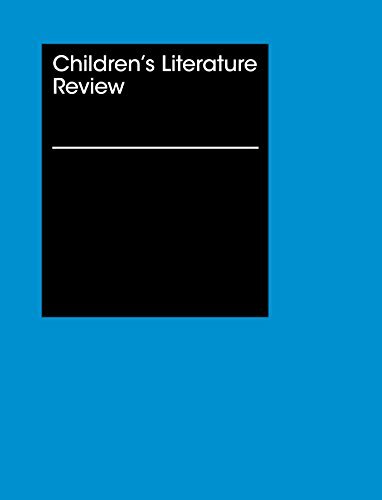 9781410324238 | Gale Group, November 18, 2016, cover price $234.00 | About this edition: An easy-to-use source for librarians, students and other researchers, each volume of this series provides illustrated biographical articles on approximately 75 childrens authors and artists. 9781410324221 | Gale Group, October 21, 2016, cover price $234.00 | About this edition: An easy-to-use source for librarians, students and other researchers, each volume of this series provides illustrated biographical articles on approximately 75 childrens authors and artists. 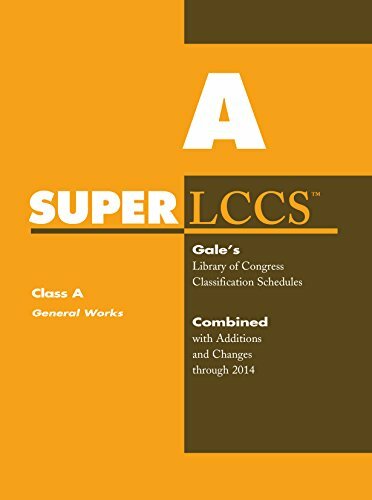 9781410324214 | Gale Group, September 23, 2016, cover price $234.00 | About this edition: An easy-to-use source for librarians, students and other researchers, each volume of this series provides illustrated biographical articles on approximately 75 childrens authors and artists. 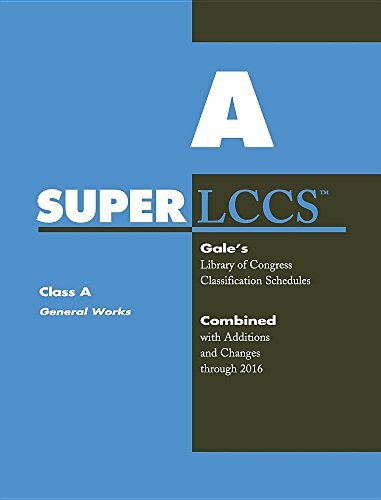 9781410324207 | Gale Group, August 26, 2016, cover price $234.00 | About this edition: An easy-to-use source for librarians, students and other researchers, each volume of this series provides illustrated biographical articles on approximately 75 childrens authors and artists. 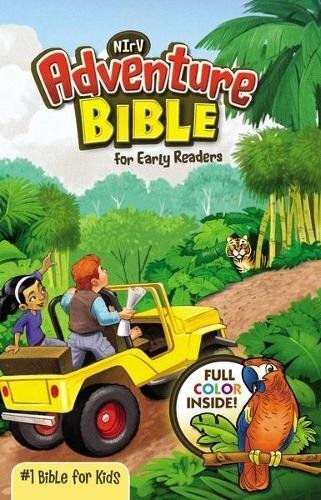 9781410314932 | Gale Group, July 29, 2016, cover price $234.00 | About this edition: An easy-to-use source for librarians, students and other researchers, each volume of this series provides illustrated biographical articles on approximately 75 childrens authors and artists. 9781410322418 | Gale Group, December 2, 2016, cover price $355.00 | also contains Contemporary Authors: A Bio-bibliographical Guide to Current Writers in Fiction, General Nonfiction, Poetry, Journalism, Drama, Motion Pictures, Television, and Other Field | About this edition: Find biographical information on more than 149, 000 modern novelists, poets, playwrights, nonfiction writers, journalists and scriptwriters. 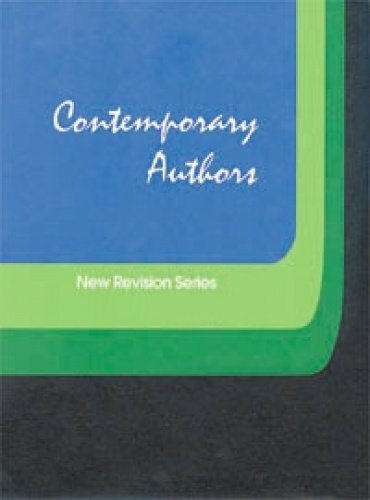 9781410322890 | New rev edition (Gale Group, November 18, 2016), cover price $355.00 | also contains Contemporary Authors: A Bio-bibliographical Guide to Current Writers in Fiction, General Nonfiction, Poetry, Journalism, Drama, Motion Pictures, Television, and Other Field | About this edition: In response to the escalating need for up-to-date information on writers, Contemporary AuthorsÂ® New Revision Series brings researchers the most recent data on the world's most popular and prolific authors. 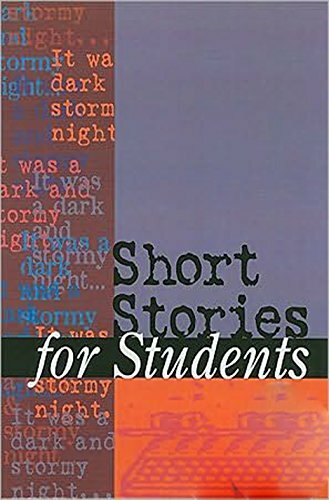 9781410322401 | Gale Group, November 4, 2016, cover price $355.00 | also contains Contemporary Authors: A Bio-bibliographical Guide to Current Writers in Fiction, General Nonfiction, Poetry, Journalism, Drama, Motion Pictures, Television, and Other Field | About this edition: Find biographical information on more than 149, 000 modern novelists, poets, playwrights, nonfiction writers, journalists and scriptwriters. 9781410322883 | New rev edition (Gale Group, October 28, 2016), cover price $355.00 | also contains Contemporary Authors: A Bio-bibliographical Guide to Current Writers in Fiction, General Nonfiction, Poetry, Journalism, Drama, Motion Pictures, Television, and Other Field | About this edition: In response to the escalating need for up-to-date information on writers, Contemporary AuthorsÂ® New Revision Series brings researchers the most recent data on the world's most popular and prolific authors. 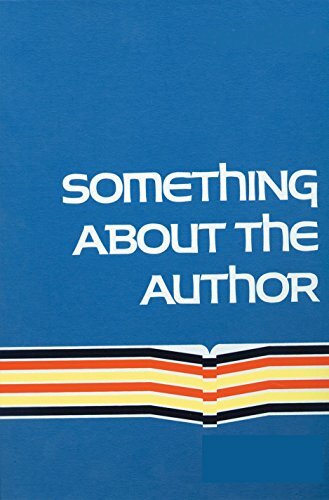 9781410322395 | Gale Group, October 7, 2016, cover price $355.00 | also contains Contemporary Authors: A Bio-bibliographical Guide to Current Writers in Fiction, General Nonfiction, Poetry, Journalism, Drama, Motion Pictures, Television, and Other Field | About this edition: Find biographical information on more than 149, 000 modern novelists, poets, playwrights, nonfiction writers, journalists and scriptwriters. 9781410331533 | Gale Group, December 2, 2016, cover price $378.00 | About this edition: Contemporary Literary Criticism assembles critical responses to the writings of the world's most renowned novelists, poets, playwrights, short story writers, scriptwriters, and other creative writers and provides supplementary biographical context and bibliographic material to guide the reader to a greater understanding of the genres and creators. 9781410331526 | Gale Group, November 11, 2016, cover price $378.00 | About this edition: Contemporary Literary Criticism assembles critical responses to the writings of the world's most renowned novelists, poets, playwrights, short story writers, scriptwriters, and other creative writers and provides supplementary biographical context and bibliographic material to guide the reader to a greater understanding of the genres and creators. 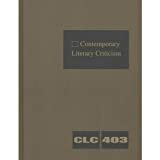 9781410331519 | Gale Group, October 21, 2016, cover price $378.00 | About this edition: Contemporary Literary Criticism assembles critical responses to the writings of the world's most renowned novelists, poets, playwrights, short story writers, scriptwriters, and other creative writers and provides supplementary biographical context and bibliographic material to guide the reader to a greater understanding of the genres and creators. 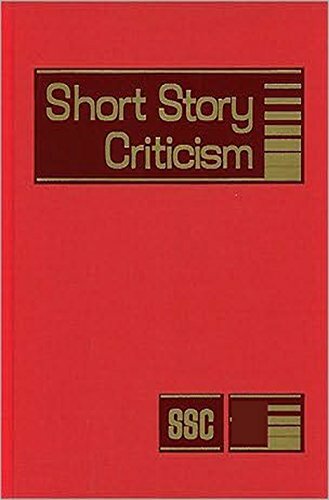 9781410331502 | Gale Group, October 7, 2016, cover price $378.00 | About this edition: Contemporary Literary Criticism assembles critical responses to the writings of the world's most renowned novelists, poets, playwrights, short story writers, scriptwriters, and other creative writers and provides supplementary biographical context and bibliographic material to guide the reader to a greater understanding of the genres and creators. 9781410312464 | Gale Group, September 2, 2016, cover price $378.00 | About this edition: Contemporary Literary Criticism assembles critical responses to the writings of the world's most renowned novelists, poets, playwrights, short story writers, scriptwriters, and other creative writers and provides supplementary biographical context and bibliographic material to guide the reader to a greater understanding of the genres and creators. 9781410329684 | Gale Group, November 11, 2016, cover price $283.00 | About this edition: Poetry Criticism assembles critical responses to the writings of the worlds most renowned poets and provides supplementary biographical context and bibliographic material to guide the reader to a greater understanding of the genre and its creators. 9781410329677 | Gale Group, October 28, 2016, cover price $283.00 | About this edition: Poetry Criticism assembles critical responses to the writings of the worlds most renowned poets and provides supplementary biographical context and bibliographic material to guide the reader to a greater understanding of the genre and its creators. 9781410314451 | Gale Group, October 7, 2016, cover price $283.00 | About this edition: Poetry Criticism assembles critical responses to the writings of the worlds most renowned poets and provides supplementary biographical context and bibliographic material to guide the reader to a greater understanding of the genre and its creators. 9781410314444 | Gale Group, September 9, 2016, cover price $283.00 | About this edition: Poetry Criticism assembles critical responses to the writings of the worlds most renowned poets and provides supplementary biographical context and bibliographic material to guide the reader to a greater understanding of the genre and its creators. 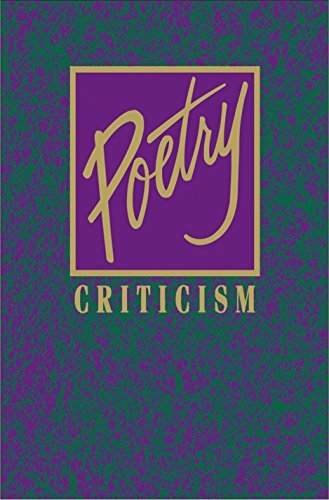 9781410314437 | Gale Group, August 12, 2016, cover price $283.00 | About this edition: Poetry Criticism assembles critical responses to the writings of the worlds most renowned poets and provides supplementary biographical context and bibliographic material to guide the reader to a greater understanding of the genre and its creators. 9781410329424 | Gale Group, October 14, 2016, cover price $378.00 | also contains Shakespearean Criticism: Excerpts from the Criticism of William Shakespeare's Plays & Poetry, from the First Published Appraisals to Current Evaluations | About this edition: Shakespearean Criticism provides students, educators, theatergoers, and other interested readers with valuable insights into Shakespeareâ? 9781410329417 | Gale Group, August 12, 2016, cover price $378.00 | also contains Shakespearean Criticism: Excerpts from the Criticism of William Shakespeare's Plays & Poetry, from the First Published Appraisals to Current Evaluations | About this edition: Shakespearean Criticism provides students, educators, theatergoers, and other interested readers with valuable insights into Shakespeareâ? 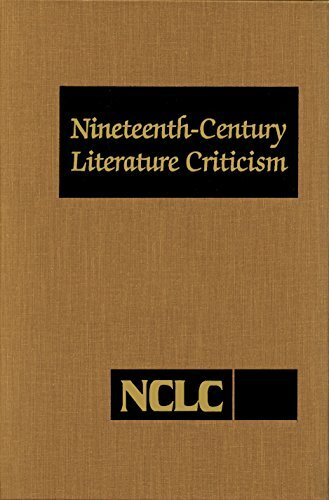 9781410315410 | Gale Group, June 10, 2016, cover price $378.00 | also contains Shakespearean Criticism: Excerpts from the Criticism of William Shakespeare's Plays & Poetry, from the First Published Appraisals to Current Evaluations | About this edition: Shakespearean Criticism provides students, educators, theatergoers, and other interested readers with valuable insights into Shakespeareâ? 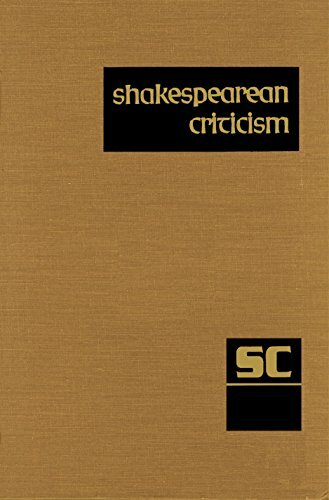 9781410315403, titled "Shakespearean Criticism: Criticism of William Shakespeare's Plays and Poetry, from the First Published Appraisals to Current Evaluations" | Gale Group, March 9, 2016, cover price $378.00 | also contains Shakespearean Criticism: Excerpts from the Criticism of William Shakespeare's Plays & Poetry, from the First Published Appraisals to Current Evaluations | About this edition: Shakespearean Criticism provides students, educators, theatergoers, and other interested readers with valuable insights into Shakespeareâ? 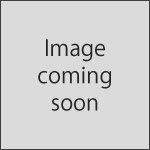 9781410315397, titled "Shakespearean Criticism: Criticism of William Shakespeare's Plays and Poetry, from the First Published Appraisals to Current Evaluations" | Gale Group, February 12, 2016, cover price $378.00 | also contains Shakespearean Criticism: Excerpts from the Criticism of William Shakespeare's Plays & Poetry, from the First Published Appraisals to Current Evaluations | About this edition: Shakespearean Criticism provides students, educators, theatergoers, and other interested readers with valuable insights into Shakespeareâ? 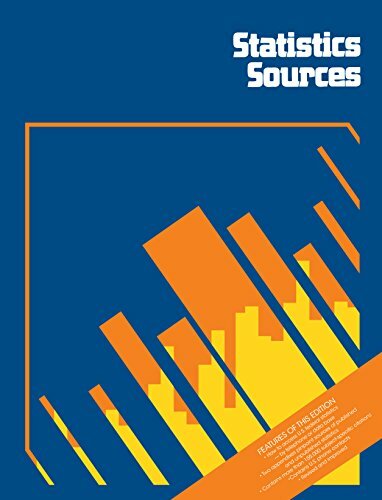 9781558629585 | St James Pr, November 11, 2016, cover price $378.00 | About this edition: When students, job candidates, business executives, historians and investors need accurate and detailed information on the development of any of the world's largest and most influential companies, direct them to International Directory of Company Histories. 9781558629578 | St James Pr, October 7, 2016, cover price $378.00 | About this edition: When students, job candidates, business executives, historians and investors need accurate and detailed information on the development of any of the world's largest and most influential companies, direct them to International Directory of Company Histories. 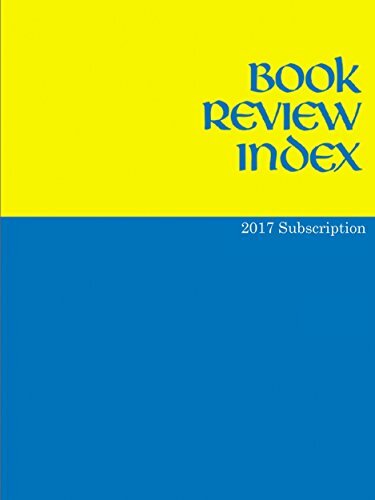 9781558629561 | St James Pr, September 9, 2016, cover price $378.00 | About this edition: When students, job candidates, business executives, historians and investors need accurate and detailed information on the development of any of the world's largest and most influential companies, direct them to International Directory of Company Histories. 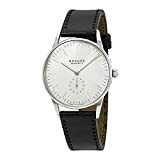 9781558629554 | St James Pr, August 5, 2016, cover price $378.00 | About this edition: When students, job candidates, business executives, historians and investors need accurate and detailed information on the development of any of the world's largest and most influential companies, direct them to International Directory of Company Histories. 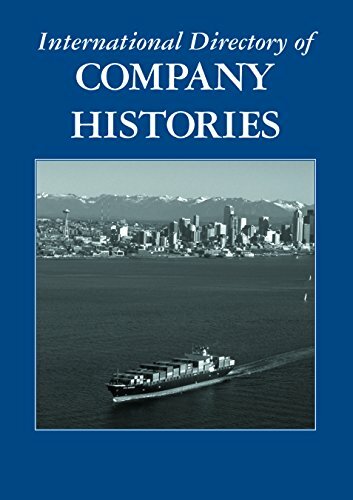 9781558629547 | St James Pr, July 8, 2016, cover price $378.00 | About this edition: When students, job candidates, business executives, historians and investors need accurate and detailed information on the development of any of the world's largest and most influential companies, direct them to International Directory of Company Histories. 9781414460024 | 36 edition (Gale Group, May 11, 2012), cover price $836.00 | About this edition: This easy-to-use alphabetically arranged dictionary serves as a guide to current sources of factual quantitative information on more than 20,000 specific subjects, incorporating almost 135,000 citations and more than 1,600 sources. 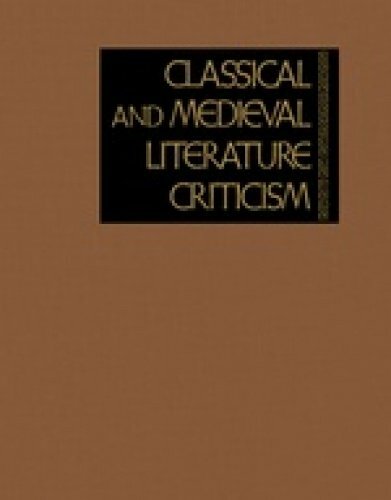 9781410312624 | Gale Group, December 2, 2016, cover price $378.00 | About this edition: Classical And Medieval Literature Criticism assembles and contextualizes critical responses to the works of writers of all sorts--poets, playwrights, chroniclers, philosophers, religious figures, and writers from other genres--from every region of the world, from the earliest known examples of written works to the eve of the modern era.